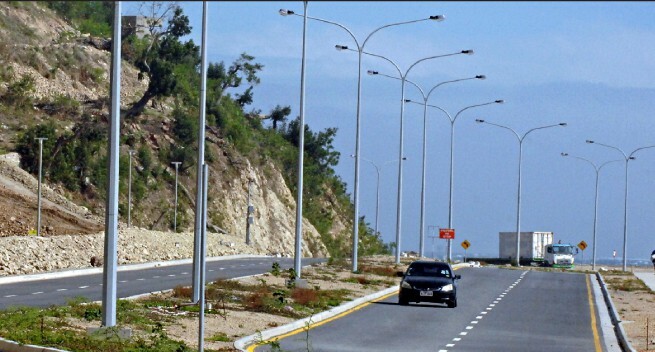 The roads linking Hanuabada, Gerehu and 9-Mile in the National Capital District are expected to create opportunities for commercial activities on zoned land alongside them, an official says. NCDC deputy city manager regulatory services Kenneth Atasoa told the media that there would be opportunities for businesses when the roads were opened for use. “The road works are almost completed. It is opening up about 4000 allotments. The economic value expected to be generated from that is about K4.3 billion. He said the roads would open up the land which developers and individuals could have access to. “There will be potential for commercial operations on the land, as was the case with the Napa Napa road development in which land was zoned for that purpose,” he said. He said the land could also be developed for residential purposes. “The roads have enabled rapid development and there are vast commercial opportunities to be made use of (from which) businesses and residents can benefit,” he said. “We are creating access to the land. It is great for our country, its economy and especially our city.” The road project had been progressively planned from 1991.